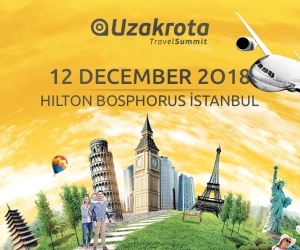 Recently, several case studies have been carried out with different techniques about map production with drone. Here is another remarkable work GEOSCAN Company. 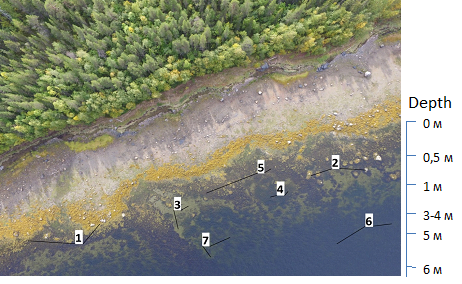 The basis of this study is to compare the satellite images of the white sea coasts of Russia and the aerial photographs taken with the help of a drone. Now let's take a look at this detailed study. High-resolution optical systems are installed in low-orbit satellites. At present, images of 14 satellites are commercially available. Features of satellite images, panchromatic (black-and-white image including blue, green, red and near infrared section) is the resolution of the channel is always higher than the resolution of the multi-channel (multi-wavelength) measurement channels. When examining arctic shallow waters and coastal regions, high-resolution satellite data can analyze the state of the shoreline. It is possible to define objects by processing a satellite image, changing the intensity of the representation of different spectral channels, or creating different combinations of channels. In this study, for aerial photographs Quadcopter Geoscan 401 It is used. The Geoscan 401 also works in the infrared range and Sony Cyber-shot DSC-RX1 equipped with a camera. 4cm / pix high-resolution, high-quality aerial photos. Comparison of high resolution satellite images and UAV (unmanned aerial vehicle) weather measurement data was performed on various criteria. Satellite panchromatic image used during the operation of the White Sea coastline 46 × 46 cm has spatial resolution. The combination of channels in the multispectral range, where the infrared channel is located, makes it possible to identify various vegetation communities. Geoscan 401 by air scan 60 m at altitude 1 cm / Pix has spatial resolution. When a built-in geodetic receiver and ground control stations are useda, 10 cmup to a sensitivity is possible. in Figure WorldView-2'S 46 х 46 cm definition of a part of a panchromatic scan image (black and white image) and Geoscan 401 the UAVs 1.0 х1.0 cm resolution image (color image). The area of ​​the satellite image frame is determined by the width of the research area. Disorders and spatial resolution also depend on the angle of measurement. With Drone, the research area is determined by the Drone type, the determined resolution, the focal length and the distance from the departure area of ​​the research area. To avoid distortion, images are taken to a large extent overlaid. 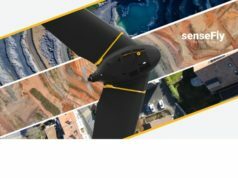 Using a single battery for 60 minutes 60 m In height, Geoscan 401 During a single flight, you can take about 250 pictures. Most of the satellites designed for remote sensing are placed in the simultaneous orbit of the sun. This means that images of the same regions will always be taken at the same time. Aerial photography with the use of drone can be done periodically at any time. The only condition during operation is that you have received your required flight permits. The time of acquisition of satellite images for any region is determined by the flight time of the satellite over the target and the speed of information exchange between service providers. The speed at which UAV air measurement is performed is determined by the distance of the research area from the operator's position and the proximity of the measuring area to the transportation. High-quality satellite images in the clouds may have some unintended consequences. However, it is possible to work with drone in both open and cloudy weather. The main measuring channels are common to all high-resolution satellites: blue, green, red, and close-infrared with 4 spectral and one panchromatic channel. The aerial photographs obtained with the help of Drones equipped with standard cameras are colored and visible in the visible spectrum. 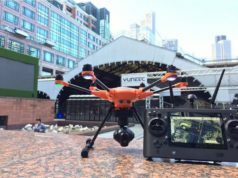 Also, Drones can be equipped with multispectral cameras, the quality of the images will be better than satellites due to higher resolution and no atmospheric distortions. 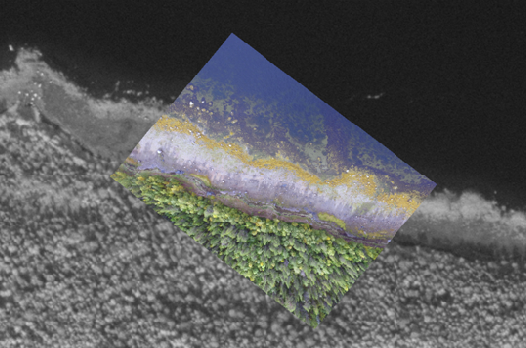 In arctic seas, high-resolution multispectral satellite images can detect large clusters of marine vegetation at depths of up to 1 m. Contrary to satellites, because the drone does not move away from the surface of the earth, the atmospheric effects have no effect on image quality. Visibility under water 7-10It is possible until. In this way, 5-6 mcan be reliably distinguished at depth. With the help of high-resolution satellites, you can 31 cmThe ability to interpret with a resolution is sufficient. 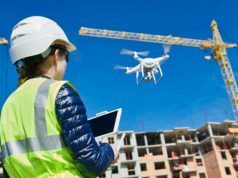 With the help of the drone, monitoring can be performed at a very detailed level. However, Drone's range and flight time limit operation. Multispectral satellite images to the user GEOTIFF format is provided as a set of files. Each file contains a geographic reference image in one of the spectral channels. Geoscan 401 UAV images from the aerial photographs taken with WGS-84 coordinate system 10 cm and the RAW format files with the geographic reference of the camera centers. Most popular software packages for the processing of satellite images are currently ERDAS IMAGINE and ScanEx IMAGE count Due to the volume of the images, modern computers with large RAM and high processor speed are required for processing satellite images. 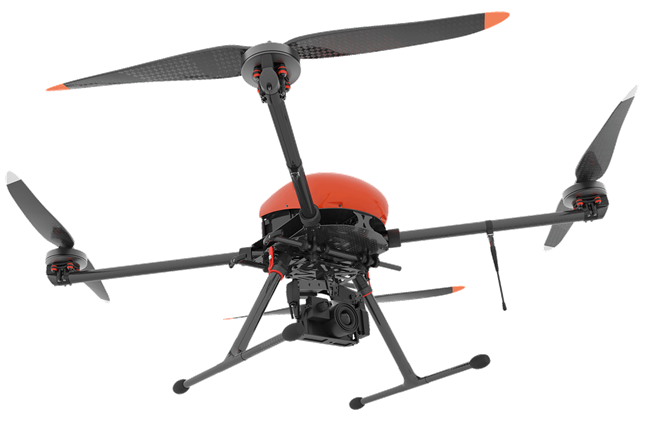 Geoscan UAV, It can be installed both vertically and vertically with the cameras in its content. Processing aerial photo data Agisoft PhotoscanIt is implemented in its proprietary software and requires a high processor speed and large RAM, because a large set of aerial photos is processed simultaneously. While doing integrated studies of the coastal strip of the seas with modern methods, they have positive aspects in both methods. However, we see that the use of drone stands out in many issues. Geoscan 401 UAV Click here for more information.